It is interesting to read, hot on the heels of the (disputed) allegations made about the conduct of Invicta PA in the House of Commons and our own article on lobbying in relation to Craighouse, to read that the lobbying company that is lobbying Councillors for the development at Craighouse, Invicta PA, in partnership with lawyers Wright, Johnston and Mackenzie LLP, hosted a reception and dinner for senior Labour politicians to meet Invicta’s “business guests” on the eve of the Labour Party Conference in Inverness this week. According to Invicta’s website, there were similar events at the SNP and LibDem Party Conferences, but we have no detail at all on these. “Last night’s event with local and national Labour politicians included Ken Macintosh MSP, Lewis MacDonald MSP, Claire Baker MSP, Richard Baker MSP and Cllr Barney Crockett (Leader of Aberdeen City Council). Joining them and us were around 30 business guests from the renewable energy, construction, oil and gas, industrial services and consultancy sectors. “The evening went exceptionally well; wine, chat, food, chat, whisky and more chat and more whisky (not to mention Jen’s penchant for ‘White Bananas’). Prof. James Fraser, Principal of the University of the Highlands and Islands Chaired our post dinner discussion on Scotland’s renewable energy industry, its successes, its failures and its future. Well, it’s nice to know they all got along so famously, the whisky slipped down a treat and that it was an “importantly productive night”. Yesterday, on another topic, I asked for a meeting with an Edinburgh MSP, to which I was told that there were rules to say Edinburgh residents were not allowed to meet MSPs outside their immediate constituency area. This is no criticism of the particular MSP’s assistant – who was very polite and helpful. I phoned another political party to see if there was such a rule and they confirmed their belief that there was. So, why should it be a problem for ordinary people or community groups to ask for a meeting when elsewhere politicians are being wined and dined by lobbyists with their clients and a whole heap of whisky involved? Did Mountgrange attend Invicta’s event? Is it fair that someone like Mountgrange’s Manish Chande, for example, who does not live in Edinburgh and whose company is based in offshore tax haven the Isle of Man, may be introduced as a “key client” to senior politicians – but ordinary Edinburgh citizens and community groups cannot meet wider City politicians in their own city? Do you have to throw a wine reception to get access? The Scottish Parliament, in fact, has a very good set of guidelines in the Code of Conduct for MSPs. How will all the politicians who wined and socialised at the Invicta event make sure they give equal access to those communities opposing the schemes that Invicta are presently lobbying for? Is it appropriate for MSPs and other senior politicians to be keynote speakers at events organised and thrown by lobbying companies? Who paid for the event? How was it presented to the politicians? Why is it not openly advertised to the public or mentioned by any of the politicians who attended on their websites or other social media? Who were the “clients” of Invicta PA who attended this event? As their names have not been released, how can the public be assured “that no person or organisation will gain better access to, or treatment by, any member as a result of employing a commercial lobbyist“? It is particularly interesting that whilst the politicians were listed, the businesses that attended Invicta’s event are veiled in secrecy. In order for the Scottish Parliament Code of Conduct to be meaningful for politicians, it must be transparent who politicians are meeting at such events and who is paying for these events. Invicta PA should list their clients publicly on their website. Invicta PA does not list their clients on their website – one of the reasons that lobbyists come under criticism. Labour MP Thomas Docherty, who is presenting a private members bill to the UK House of Commons on lobbying, talks of the way lobbyists can play projects off against each other – or gain access to politicians under the guise of one company in order to further the interests of another. Meanwhile Labour MSP Neil Findlay is trying to introduce a Transparency of Lobbying Bill to the Scottish Parliament. Having looked at the Code of Conduct, whilst an MSP may not take up an issue out of constituency area without permission from the constituency MSPs, I have not been able to find anything written about not being able to meet MSPs outside their constituency area. So we will be looking into this further. This entry was posted in Community groups, Political process. Bookmark the permalink. 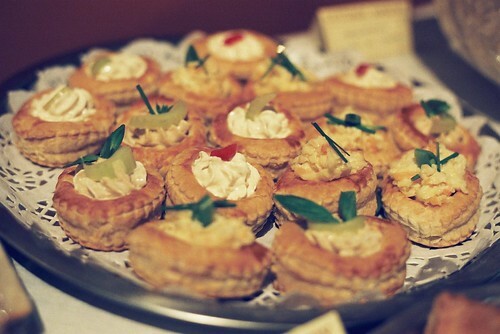 11 Responses to Access for Vol-au-vents? A very good article and I agree with the sentiment behind it. There is no such thing as a free lunch or a free whisky for that matter. Politicians are not invited to these events because the are nice people (although I am sure they are all very nice people down to the last man and woman). If these politicians have facebook pages pr blogs – why do we not simply ask them who the companies were who were represented at these events? Presumably they exchanged business cards and telephone numbers. a bit up very fast! What web host are you using? Can I get your affiliate hyperlink on your host? web and on internet I found this website as a finest web page for most recent updates.